These were the most popular (by number of page views) posts on our blog in 2015. 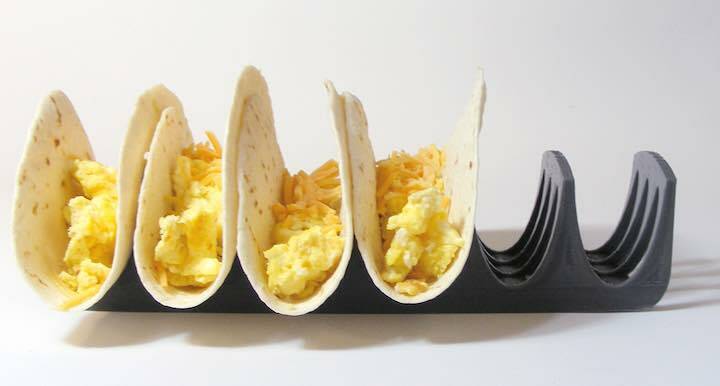 Taco Shell Holder, Noah Hornberger had the idea during breakfast and printed a version to test the next day. I am sensitive to noise so the engineering tools available to reduce noise is something I am interested in. I wish those building apartments, condos and hotels paid more attention to these options. There are many products to aid in reducing sound into your home. Sound Sense shows a wide variety of products available to aid in those efforts. Soundproofing 101 provides some good basic explanations of the issues involved in soundproofing solutions. Casual noise can be reduced to a very tolerable level by simply “beefing up” existing walls, floors and ceilings. However, if you want to achieve significant soundproofing, then a dedicated construction plan is in order. The room within a room is the most sound isolated system you can build. It does sound extreme but I have considered this for a bedroom. Or even scaling it down into a enclosed sleep chamber, just to let me have a quite space to sleep. The risk to human health due to anti-biotic resistance continues to be a huge public health concern. Our continued failure to adopt better antibiotics practices increase that risk. Those bad practices include feeding large amounts of antibiotics to farm animals to increase yields and increase the evolution of drug resistant bacteria. The genes found in Denmark and China are the same, says Aarestrup, suggesting mcr-1 has travelled, rather than arising independently in each place. 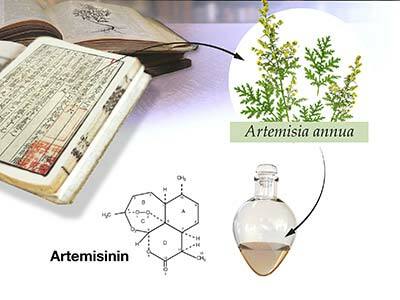 It is thought to have emerged originally in farm animals fed colistin as an antibiotic growth promoter. In 2012, the World Health Organization called colistin critically important for human health, meaning its use in animals should be limited to avoid promoting resistance. Yet in 2013, the European Medicines Agency reported that polymyxins were the fifth most heavily used type of antibiotic in European livestock. Colistin, an antibiotic that previously was a last defense against resistant strains of bacteria, is even more heavily used in China than Europe (it is not clear how the resistance developed but it likely developed in one place, most likely China, and spread rather than emerging in 2 places). The USA has been more responsible and has not risked human health through the widespread use of colistin in farm animals. But the USA still uses antibiotics irresponsibly to promote livestock growth at the risk of human lives being lost as antibiotics lose their effectiveness as bacteria evolve resistance (which is sped by poor practices in agri-business). Antibiotic resistance is an enormous risk to human health. Millions of lives could be lost and we have have years to reduce those risks. Scientists are doing a great deal of work to find new tools to help us avoid catastrophe but we have been far too careless in our practices, especially in the massive use of antibiotics merely to boost yields in agribusiness. I am thankful for scientists doing the time consuming and important research to find new ways to fight disease. 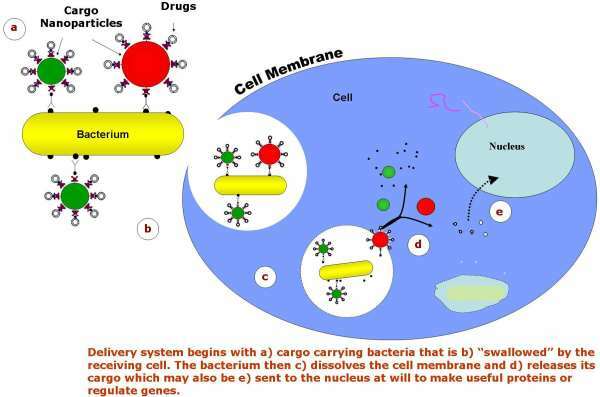 Here is an interesting webcast discussing how chemotherapy is used to fight cancer and how scientists are looking to algae to deliver the chemotherapy drugs to better target cancer cells (while not savaging our health cells). I am also thankful to the funding sources that pay for this research (and for cool explanations of science, like SciShow). Read more about the genetically engineered algae kills 90% of cancer cells without harming healthy ones. The algae are a diatom and many diatoms look very cool. Sadly the actual research paper (by government funded university professors) is published by a closed science publisher (when are we finally going to stop this practice that was outdated over a decade ago?). Thankfully those responsible for SciShow are much more interested in promoting science than maintaining outdated business models (in direct contrast to so many science journal publishers). This is another instance of science research providing us interesting details about the very odd ways life has evolved on earth. Genome sequencing confirms that myxozoans, a diverse group of microscopic parasites that infect invertebrate and vertebrate hosts, are actually highly reduced cnidarians — the phylum that includes jellyfish, corals and sea anemones. Not only has the parasitic micro jellyfish evolved a stripped-down body plan of just a few cells, but via data generated at the KU Medical Center’s Genome Sequencing Facility researchers also found the myxozoan genome was drastically simplified. Despite its radical phasedown of the modern jellyfish’s body structure and genome over millions of years, Myxozoa has retained the essential characteristic of the jellyfish — its stinger, or “nematocyst” — along with the genes needed to make it. The findings are the stuff of scientific fascination but also could have a commercial effect. Myxozoa commonly plague commercial fish stock such as trout and salmon. “They’re a very diverse group of parasites, and some have been well-studied because they infect fish and can wreak havoc in aquaculture of economic importance,” Cartwright said. A new integrated computational method helps predicting adverse drug reaction more reliably than with traditional computing methods. This improved ability to foresee the possible adverse effects of drugs may entail saving many lives in the future. Most computer tools employed today to detect possible adverse effects of compounds that are candidates for new medicines are based on detecting labile fragments in the drug’s structure. These fragments can potentially transform to form reactive metabolites, which can have toxic properties. This is what is known as idiosyncratic toxicity and is a big headache for the pharmaceutical industry, as it tends to be detected in late development stages of the drug and even when it is already on the market, often causing the drug to be withdrawn. Jordi Mestres, coordinator of the IMIM and UPF research group on Systems Pharmacology at the Biomedical Informatics Program (GRIB) states ‘With this study we have contributed to complementing the detection of these quite unstable fragments, with information on the mechanism of action of the drug, based on three aspects: similarity to other medicines, prediction of their pharmacological profile, and interference with specific biological pathways. The optimal integration of these four aspects results in a clear improvement of our ability to anticipate adverse effects with higher confidence, which entails an extremely positive impact on society’. In Europe, nearly 200,000 people die every year from adverse drug reactions, seven times more than in traffic accidents. An estimated 5% of hospitalisations are due to adverse effects and they are the fifth most common cause of hospital death. In addition, elderly people tend to take more than one drug at the same time, which multiplies the chances of suffering from adverse effects due to potential drug-drug interactions. In an increasingly aging society, this problem is becoming much more serious. The human and financial costs of adverse effects are very high. That is why the discovery of new medicines is increasingly focused more on predicting possible adverse effects at the initial stages of developing a new drug. This work hopes to contribute to setting the path toward a new generation of more reliable computational tools with regard to predicting the adverse effects of therapeutically-relevant small molecules. Advancing large-scale predictive safety at the pre-clinical phase is now becoming closer than ever, with expectations to lead to safer drugs for the entire population. The research is published in closed science journal so I don’t link to it. I happily link to open science publications. Read the full press release which includes a link to the closed science journal. 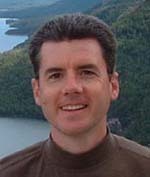 Related: Lifestyle Drugs and Risk – Root Cause, Interactions, Robustness and Design of Experiments – One factor at a time (OFAT) Versus Factorial Designs – The Purpose of Mulit-Factorial Designed Experiments – 11 Year Old Using Design of Experiments – Over-reliance on Prescription Drugs to Aid Children’s Sleep? Blue Jay in Arlington, Virginia (in my backyard). See more of my photos. This is a picture I simply could not have taken before I bought my new camera (a Canon PowerShot SX60 HS Digital Camera with 65 times optical zoom). Birds are still hard to photograph but now at least occasionally I get a decent photo of birds. If you want to get photos of wildlife it is a great camera. And it is a wonderful camera in general. I like just planting things that will feed and shelter birds (and others) rather than filling bird feeders myself. There is information on how to use your backyard to promote wildlife. I see many birds flying around in my backyard, which is quite nice. Blue jays are some of my favorites. 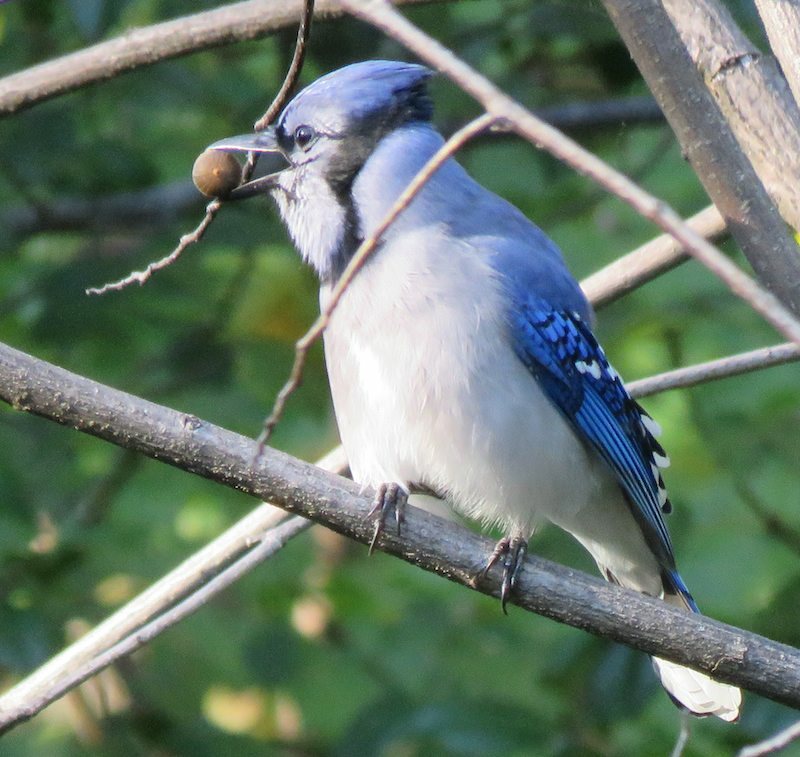 Blue jays diet is composed mostly of insects and nuts. They especially like acorns. Young jays may be more likely to migrate than adults, but many adults also migrate. Some individual jays migrate south one year, stay north the next winter, and then migrate south again the next year. No one has worked out why they migrate when they do. The pigment in blue jay feathers is melanin, which is brown. The blue color is caused by scattering light through modified cells on the surface of the feather barbs. Here is a nice list of funding sources for independent postdoctoral research projects in biology. Directory of select science and engineering scholarships and fellowships for undergraduates, graduates and faculty on our blog.